• Keys to understanding self and others — Fit for the role, powered by a dream, a student of the game, mastering the fundamentals, setting high standards, always being creative, executing with passion, leading by example, making others better and serving others. • Making better decisions by asking the right questions - the Know System™ Decision Making Model. • The internal and external factors that lead to feeling excluded and a lack of acceptance. • Explore micro-messages and their impact on engagement, innovation, and productivity. • How to develop a more inclusive workforce by identifying and eliminating barriers to constructive contributions, which open the pathways to innovation. 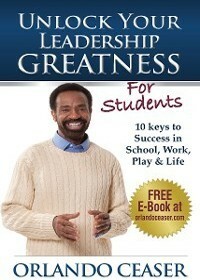 • Leadership principles adjusted for the student's walk through academic life in preparation for the world of work, with an emphasis on decision-making. 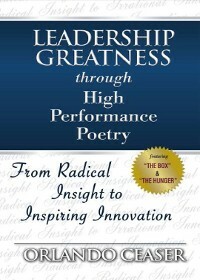 • A fable applying leadership principles to a leader cited as a performance problem due to a toxic work environment. 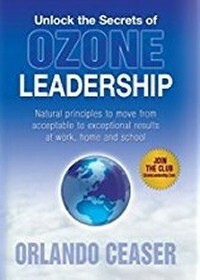 The five key attributes of Ozone Leadership are explored: protective, selective, corrective, effective, and directive. 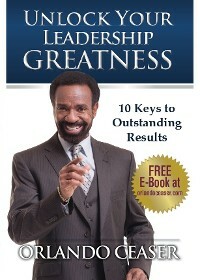 • Parents and teachers focus on identifying leadership qualities and developing them in our youth. 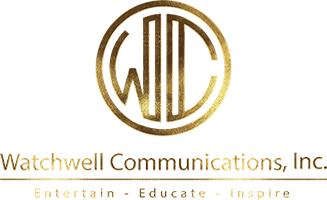 Orlando Ceaser is a best-selling author and motivational communicator for Watchwell Communications, Inc. 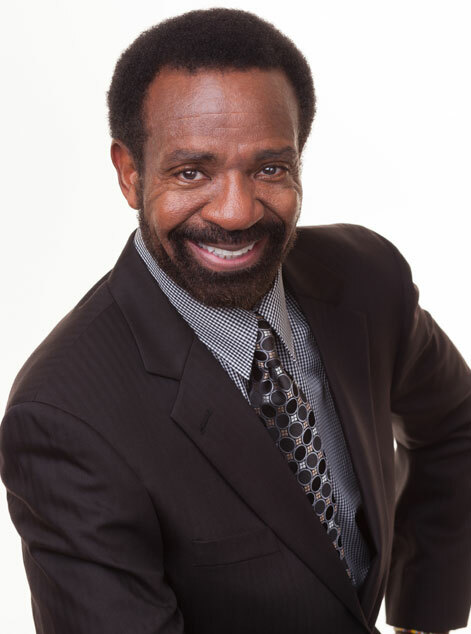 He has experience in sales, management, training, diversity, marketing, leadership and personal development. He was the Senior Director of Diversity for AstraZeneca Pharmaceuticals. Orlando is an accomplished public speaker, known for his ability to use humor and creativity to motivate an audience and team to think creatively. He is the author of The Isle of Knowledge, a fable introducing The Know System™ for improving decision making. 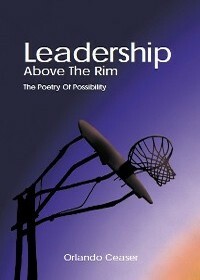 He is also the author of Leadership Above the Rim, Unlock Your Leadership Greatness, and Unlock Your Leadership Greatness - For Students, as well as Leadership Greatness Through High Performance Poetry and Unlock the Secrets of Ozone Leadership. His comic strips, Cocky and Rhodette and Cocky Jr. focus on life in organizations and the life and times of teenagers, respectively. Orlando's words appeared in articles in the Associated Press, Financial Times, Human Resource Executive, The Scientist, and The Boston Globe, as well as The Chicago Defender, Pharmaceutical Representative Magazine, and other online resources. 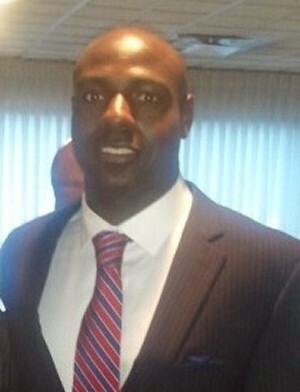 Orlando used his voice on numerous video and audio projects. He has a BS degree from Bradley University in Peoria, Illinois, and a certificate from Midwestern Broadcasting School in Chicago. 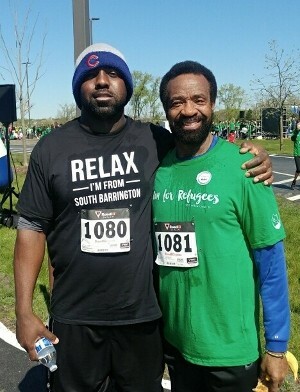 He was a newscaster on WBEZ radio in Chicago. His favorite activities include working with youth, public speaking, and acting. He also enjoys providing career counseling, spinning, and running. Brian Ceaser has a BS degree from Western Illinois University, Macomb Illinois, where he majored in broadcasting and minored in marketing. He has responsibility for marketing, quality control, and technology review and implementation.